Energy from moisture! Energia a nedvességből! This astounding water machine is a toy, decor, souvenir, scientific demonstration model. This has a sedative effect on people in your home or office! Engine is operating energy of moisture and it is quite easy to prepare! 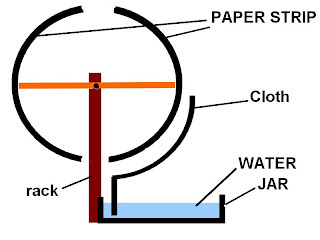 Similar look and operation of the Drinking Bird, a scientific toy, but this is not contain toxic materials, only about a strip of paper required! The original name is Puskas engine! (Inventor gave his lover's last name, and so he made a memorial to her). So it is a request this machine and science games to be called Puskas-engine and please to respect this giddy romantic request! 1. Just breathe on a corner of paper page, and look it that it bends from the your damp breath! 2. Cut out a strip of paper, say, 3cm wide and 13cm long! Paper strip have to be mild bended. Gently pulled the on edge of the table, and it will be mild bend. Stand up bended strip paper on its edge. Now breathe out of one side, then look at the paper strip bends in the opposite direction, after a few seconds and then returns to its original position. The simpler structure of teeter-totter (seesaw) at the end of the glued paper strip. Cut out from plastic sheet or beer can aluminum sheet a strip and to glue on it a textile fabrics. Textile have to be contact with jar water. Already in ancient Egypt, the quarry workers broke stone blocks with water-swollen wooden. The professionals drilled several holes in the cleavage direction, then hammered into the holes dry wooden beams. Finally, they poured water on the tree, which is swollen and lerepesztette the boulder. Moisture is guided in capillarity principle (in the cloth) near to the paper. The paper fibers swells and bends the strip from moist air. The balance goes out. The seesaw falls down and paper strip will be away from the damp fabric. Then strip bend back to its original shape. The seesaw falls up back and start all over again! Engine works to 1.5 weeks in the night and day from some water in a Nivea box. If you want to pause at night because it knocks on the table, to put away far the damp cloth. You don't stick engine moving, because on the morning the paper strip will be completely wet and to lose its shape. In the office to use as decor this engine will be a sedative effect for You (really)! Not all paper is inclined away from the moisture! Unfortunately, the factories seek to avoid swell the paper from the moisture. Sometimes they even manage to fully comply with this. So You need make an experiment with to different types of paper, that which is the most inclined to bend if You breathed on it. I generaly use Natron paper g/m2: 90 (90g/m2) or real cellophane or paper from the double-sided adhesive tape. If we would found a paper which could bend double from moisture, then this engine could be really energy production machine! 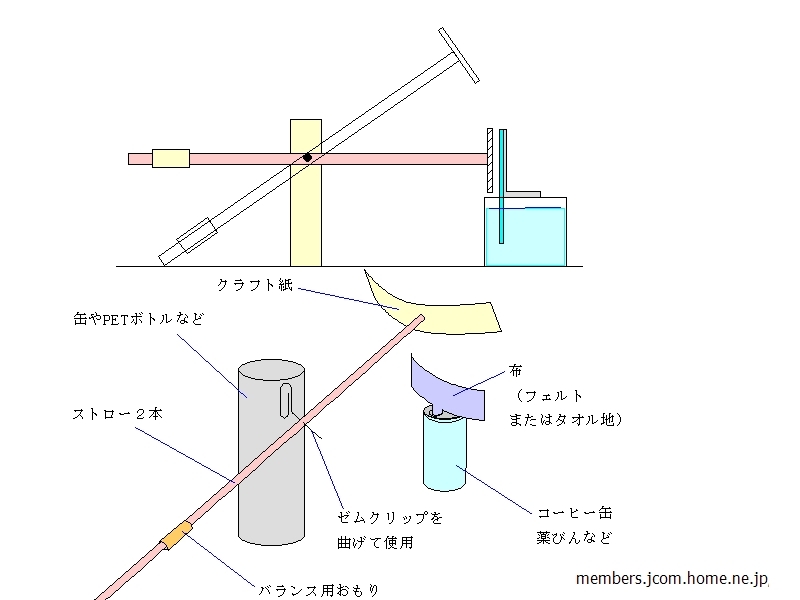 If in plastic rod is prepared teeter, it can be confusing to electrostatic charging. It will be very attracted to the table. 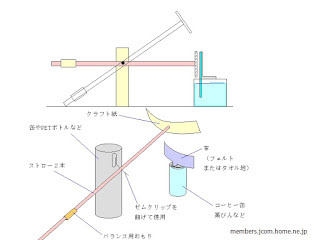 The seesaw shaft is with paper strip side shorter and longer blank side. Puskas engine can be build motor mode (rotary version)! I recommend rotary version only then if You have build one or two teeter model! I've done so far only one such machine, the test piece was at first, but I have not any more experience. My a Swiss friend made ​​a very high standard KIT! They are behind me! This engine is the name Puskas Engine, and not Hydra!!! !